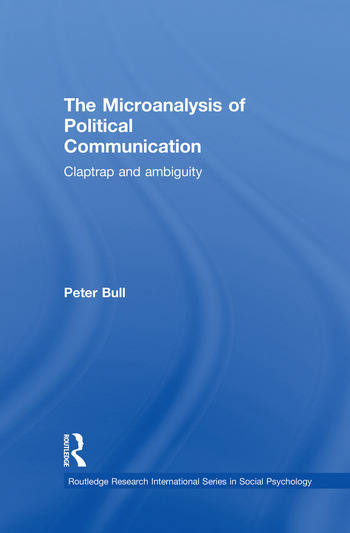 This analysis of political speeches and televised political interviews in the UK, based on the Annual Party Conferences (1996-2000) and the last five general elections (1983-2001), evaluates the interview skills of politicians and political interviewers, investigates how and why politicians equivocate and handle interruptions and examines the nature of applause, both invited and uninvited, in political speeches. Peter Bull is a Senior Lecturer in the Department of Psychology at the University of York. He is the author of fifty academic publications principally concerned with the microanalysis of interpersonal communication. These include several books, the most recent of which is Communication Under the Microscope: The Theory and Practice of Microanalysis (Psychology Press, 2002).